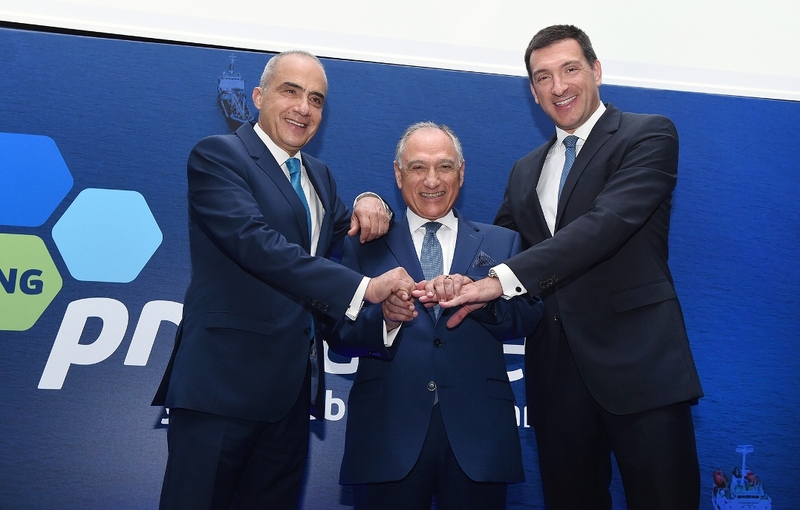 At a time when the global shipping industry is eager to invest in clean fuel to meet new international requirements, a newly established Greek firm, Probunkers, on Tuesday presented its plan for the creation of the first global supplier of bunkering services. At a press conference in the context of the Posidonia 2018 shipping fair in Athens, Probunkers chief executive Alexander Prokopakis presented the company’s plan for the delivery of liquefied natural gas (LNG) to ships around the world using seven new bunkering barges filled up from seven ports on various continents that have or will soon possess the necessary installations. Probunkers will have a three-tier role, as a physical supplier, a commodity trader and the owner and operator of specially designed and constructed vessels. “We aim to launch operations in the second half of 2022,” Prokopakis stated. He explained that LNG will be the fuel of choice for ships over the next 25-30 years given the strict sulfur cap on fuel the International Maritime Organization (IMO) will impose as of January 1, 2020. Prokopakis said the company’s 10-year business plan requires $343 million euros, and told Kathimerini Probunkers intends to stage a roadshow in the US later this year to secure the necessary funding.